Whether receiving traffic from Organic Search (SEO) or Paid Search (PPC) the page that your users land on has an effect on whether or not they convert. The way you optimise your web page also has a massive impact on the amount of traffic you receive. A poorly optimised landing page will not show in organic search results, and will receive a low quality score from Google AdWords, meaning they are rarely shown. 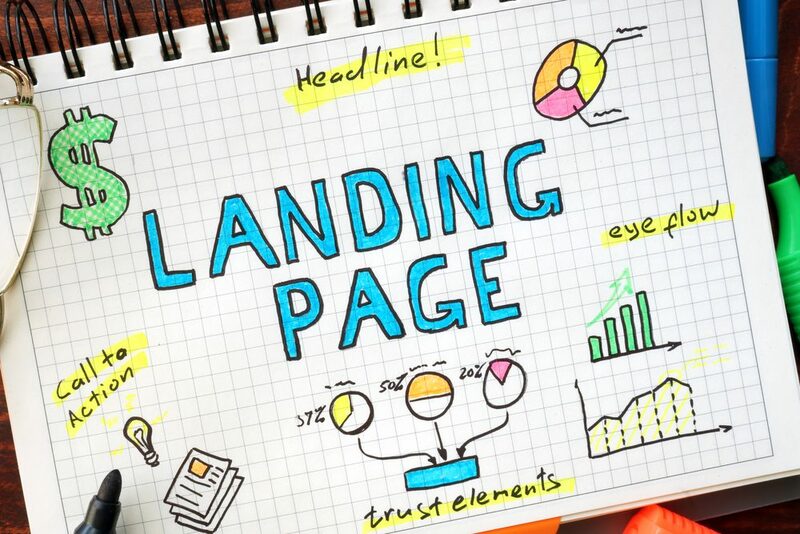 So, how can you be sure that your landing page will not only attract traffic, but also keep it? How do I attract users to my landing page? The first thing that Google reads when looking at your landing pages is the URL. It makes sense, as that will be the first thing presented to the search engine. Because of this, it’s important to ensure your landing page’s URL reflects the content on the page, and includes your keywords for that page too. But, wait! Before you go ahead and fill your URL extensions with long lists of keywords, be aware that Google also looks out for over-optimisation of these too. According to some of the bigwigs at our favourite search engine company, the first 3-5 words of the URL are given more power than the rest, which have increasingly less weight with each word you add. This means you need a short URL extension that sums up your page, and includes your keyword. One of the most basic principles of SEO is the optimisation of meta data. Page titles, descriptions, alt text, and header tags all need to be considered, and optimised correctly. Here’s a quick overview of what you need to consider. Google displays between 50-60 characters of your title. We’d recommend keeping your title under 55 characters. You should mention the target keyword (or variation) within the title. Google doesn’t use this a ranking factor, so you can tailor it to reach out to potential users and improve click-through-rates. Google displays between 150-160 characters for the description. Use this as an opportunity to tell your users why your page is better than the rest. Alt text is the text that is attached to images and similar rich-media content. This can be used to help add relevancy to your page, as well as increase the possibility of showing in Google Image Search results. The alt text should be used to describe the image as best you can, as it’s intended purpose is to display if the image doesn’t load properly. You can have up to six different types of header tag, H1 through to H6, but H1 and H2 tags are the most important to SEO. The rest can help with the formatting of the page, adding titles and subtitles. Correct usage can create a more aesthetically pleasing and user-friendly page. In addition to implementing keywords within your meta data, you need to implement these terms within your content too. It’s no good telling Google that your page is about (for examples sake) healthy eating tips, and then going on to talk about funny cat videos or something else entirely unrelated to the subject. Google recommends you use your keyword within the first 100 words of text, and throughout the content. But, they also recommend not using your keyword too often. So, how do you use your keyword throughout your content without running the risk of keyword stuffing? Google (and of course, all other search engines) are placing more and more focus on the relevancy of content on a landing page. Because of this, it means exact keyword matches don’t matter as much as they used to. As long as the content on your landing page is relevant to the desired keyword, search engines will see it as relevant. In fact, Google now uses a technology called LSI (Latent Semantic Indexing), which allows it to do just that: read a page, check for the keyword, check for variations of the keyword, check for related keywords, decide whether the page is relevant or not. A lot of people have been talking about this recently, and our research shows the same. A higher word count typically means better rankings, which in turn means more users. We’re not saying that you need to go out and write a ten-part epic saga for each of your pages, because nobody would read it, but you need enough content to let Google know you truly know what you’re talking about. The “magic number” is somewhere around 2,000 words, but this changes depending on the keyword you’re trying to surface for or the industry you’re working in. Never before has anything been so necessary, yet so difficult to undertake successfully. The backlinks that are easy to get are normally no good, and those that are really good for your website are typically a lot harder to get hold of. But backlinks aren’t the only important thing Google are looking for when scouring your pages for links. There are other things that you can do too. A well-built internal link structure can direct your users (and search engines) to the correct landing pages for each topic. If every link that mentions (e.g.) “office cleaning” points towards your ‘office cleaning’ page, Google sees that as the most relevant page on your website for that keyword. “Why would I work so hard creating a great piece of content that ranks well, only for my users to follow a link to another website and read that instead?” We hear you ask. Well, because search engines want you to, that’s why. As far as Google is concerned, a good web page is one that not only provides you with all the information you could possibly need on a subject, but also links out to other pages with more information on the same subject. Whilst not as effective as a link back from a quality website, a link to a quality website lets Google see that your page is relevant to the subject in hand. Get in touch with Peaky Digital today to find out how we can help you create your SEO strategy.